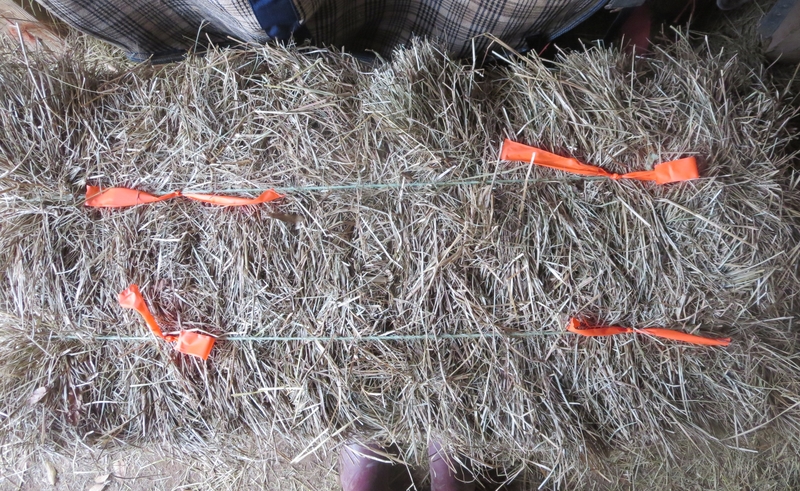 Instead of remembering not to open the last bale whenever we got low, I decided to dedicate one to the purpose. On the next hay run, I asked for a bale of their cheapest. It was likely to be smaller and lighter, but that would be okay. It would only be for that rare occurrence when we had a crisis AND were low on hay. It turned out to be a foot longer and 10 lbs heavier. Win! The plastic tape is a reminder not to feed it by mistake. We would use up our spare bale and our picky pair probably wouldn’t eat it. I hope it sits there until it rots.